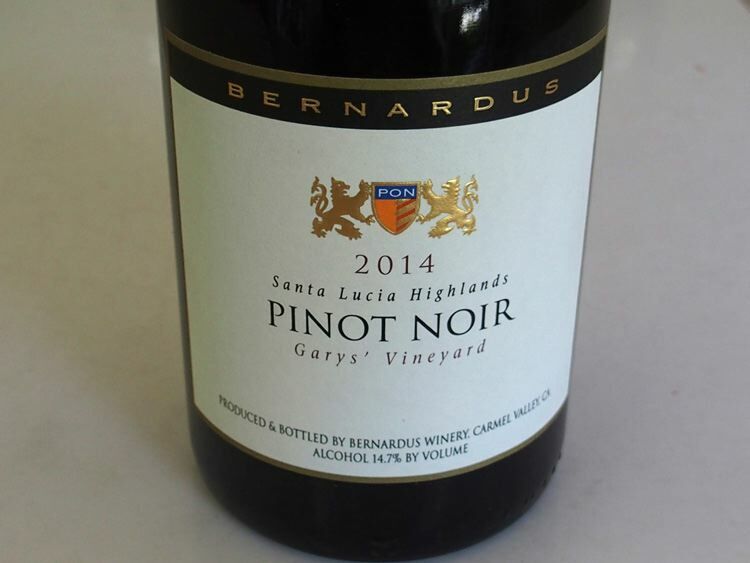 With a nod to the spirit of the ongoing Rio Olympics, here are Gold Medal worthy California Pinot Noir wines featured in this issue along with many other medal contenders. As you can see, almost every wine is from the 2014 vintage. MY ADVICE IS TO BUY EVERY 2014 VINTAGE PINOT NOIR FROM CALIFORNIA AND OREGON YOU CAN POSSIBLY AFFORD. Vintages like 2014 come along rarely. 2014 Couloir John Sebastiano Vineyard Sta. Rita Hills Pinot Noir 94. 2014 Couloir Monument Tree Vineyard Anderson Valley Pinot Noir 94. I have been following winemaker Jon Grant’s career at Couloir Wines for several years now, and the 2014 vintage Pinot Noirs are the best he has ever produced. That is saying something, since his wines have always been stellar. 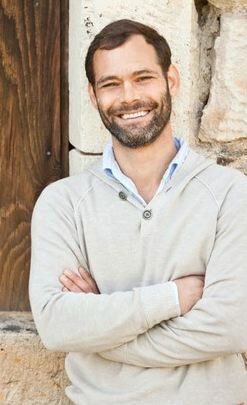 When Jon moved from the ski mountains of Utah to Napa Valley in 1997, he traded the skier’s lifestyle for wine country living. The transition was smooth because he brought with him the sensibilities of outdoor living. He possessed an innate passion for transforming grapes from the vineyard to the table combined with his back country experience. Jon crafted his first vintage of Couloir Wines in 2007, releasing two Anderson Valley Pinot Noirs. 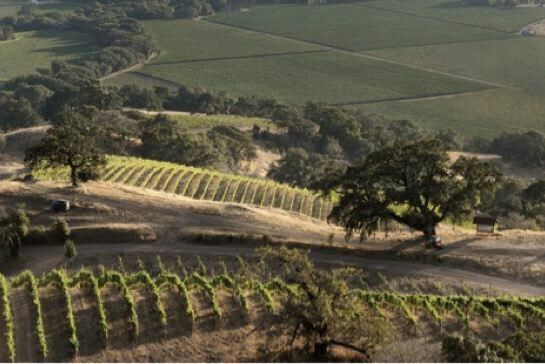 Today, he offers four wines from proven cool climate vineyards of coastal California, including the North Coast’s Anderson Valley, Sonoma Coast and Marin County, and the Central Coast’s Sta. Rita Hills. He works with preeminent vineyard managers in each area and chooses specific rows with special blocks for his wines. In 2013, Jon opened the Couloir Wines Tasting Room in a historic building in downtown Tiburon, just across the Golden Gate Bridge from San Francisco. 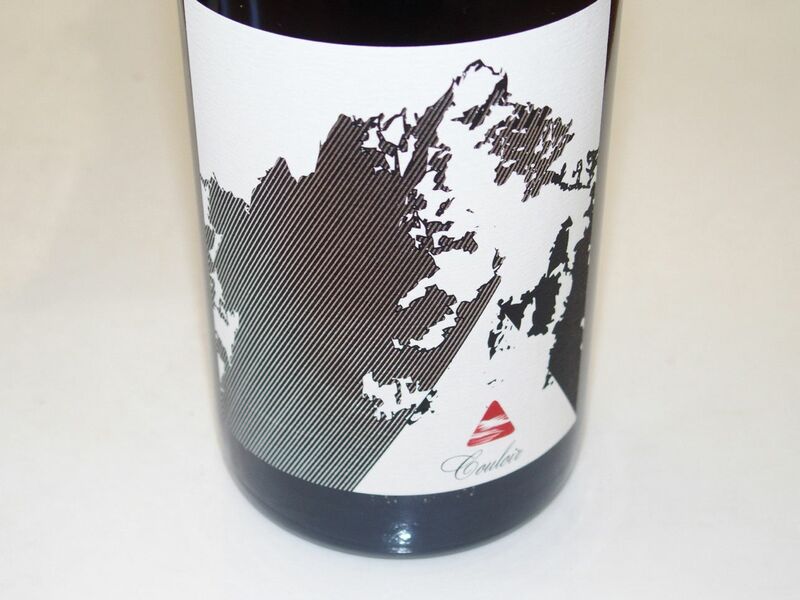 Here he offers Couloir wines and the wines of his companion label, Straight Line Wine. Both new releases and library wines are offered at this venue which functions as both a wine bar and wine shop. Limited production magnums are available as well as a variety of wine clubs with preferred pricing and benefits. The Couloir Wines website at www.couloirwines.com is filled with information about the sourced vineyards and winemaking. Like most dedicated Pinot Noir winemakers, Jon uses Pinot Noir as a conduit for the voice of the vineyard. He wants to be able to taste the common thread exhibited by a vineyard’s character combined with the mark of the vintage. Jon accomplishes his goal by using whole clusters, spontaneous primary and ML fermentations, and aging on the lees in once used and neutral French oak barrels. The following wines are scheduled for release this fall and winter. Paul and Kathryn Sloan founded a winegrowing company in the Russian River Valley called Small Vines Viticulture in 1998. 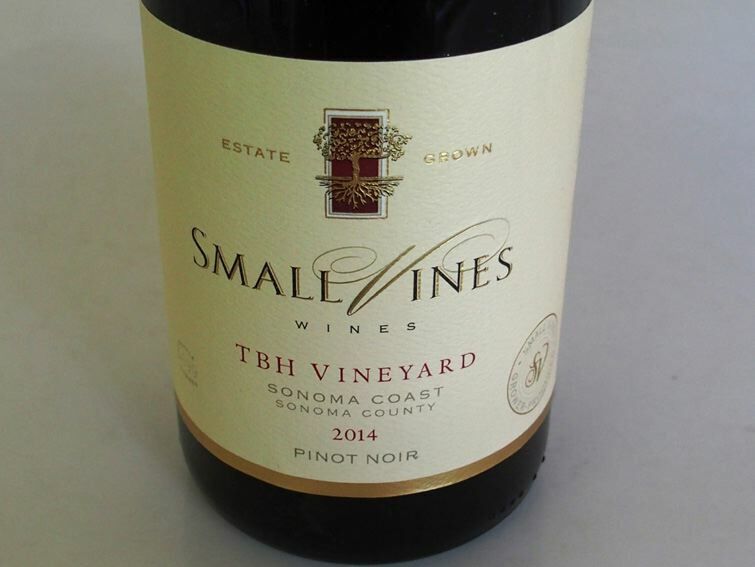 The firm’s trademarked tagline became, “The smaller the vine, the better the wine,” based on the Sloans’ belief that high density planted vineyards similar to those in Burgundy can play an important role in determining grape quality. The traditional 8 feet by 12 feet (454 vines per acre) planting in California was the rule until the 1980s, after which closer rows of 6 feet wide by vines 4 feet apart (1,816 vines per acre) became common. The vine density in California was traditionally chosen to accommodate the tractors and implements available at the time. Wider vine spacing was less risky and allowed tailoring of the vine budding to soil vigor. Crop thinning was then necessary to reduce yields and concentrate flavors. As more compact farm equipment became available and hand farming was in vogue, row and vine spacing became narrower. Tight inter row and between row vine spacing appears to have clear advantages with Pinot Noir. Typically with high density planting, rows are 4 feet wide and vines are 2.5 feet to 4 feet apart (2722-3630 vines per acre). The resultant smaller vines yield less fruit without crop thinning than a standard vine, and the spacing leads to better shading. At the same time, the amount of vines per acre is significantly increased insuring that the vineyard has economic viability. In addition, it does not appear that high density planted vines compete with each other in many soils with studies indicating that root density continues to increase in step with vine density. Tight vine spacing does come at a cost, because it requires more vines to be planted, more labor, more attention, more irrigation lines, and specialized tractor and other farm equipment. 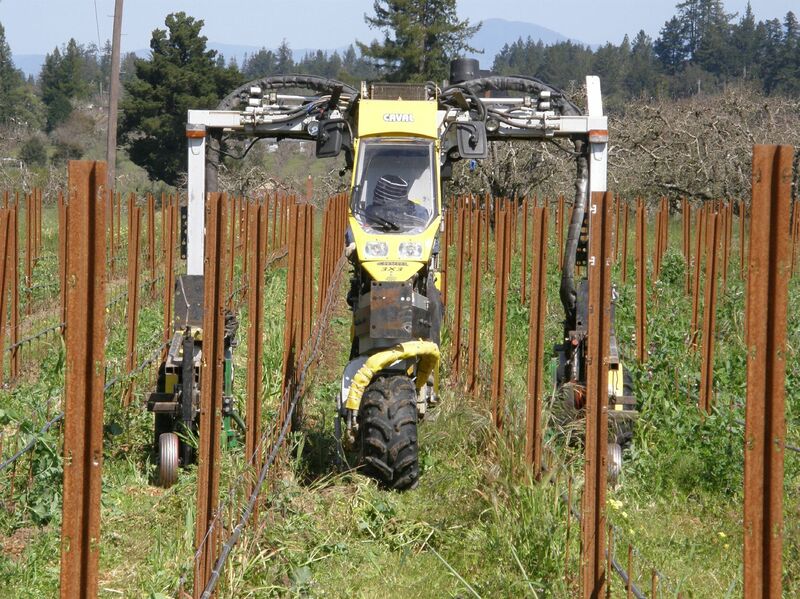 Here is a photo of the Small Vines’ imported Caval tractor used for high density plantings. Small Vines Viticulture specializes in the planning, instillation and precision viticulture of close spaced vineyards in Sonoma County’s Russian River Valley and Sonoma Coast appellations. A second business model was launched with the 2005 vintage when the Sloans offered Pinot Noir under the Small Vines Wines label. They now produce both Russian River Valley and Sonoma Coast Pinot Noir and Chardonnay from either estate owned or estate leased and farmed vineyards exclusively (all organically farmed). Paul handles the winemaking in consultation with veteran winemaker Byron Kosuge. With the release of the 2014 vintage of Small Vines Wines, the Sloans are on a roll. 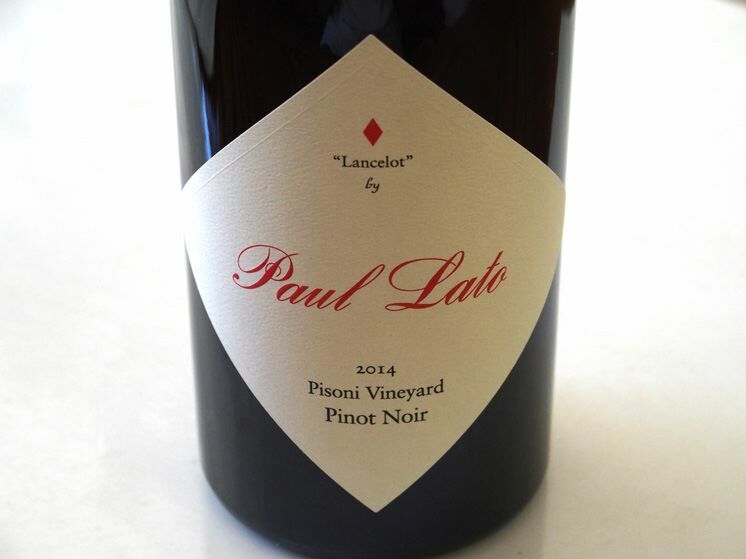 Paul recently recorded a show on Grape Radio and the winery was a featured participant at the 2016 International Pinot Noir Celebration. In 2016, they are breaking ground on their own winemaking facility on a historic property they bought in Sebastopol. 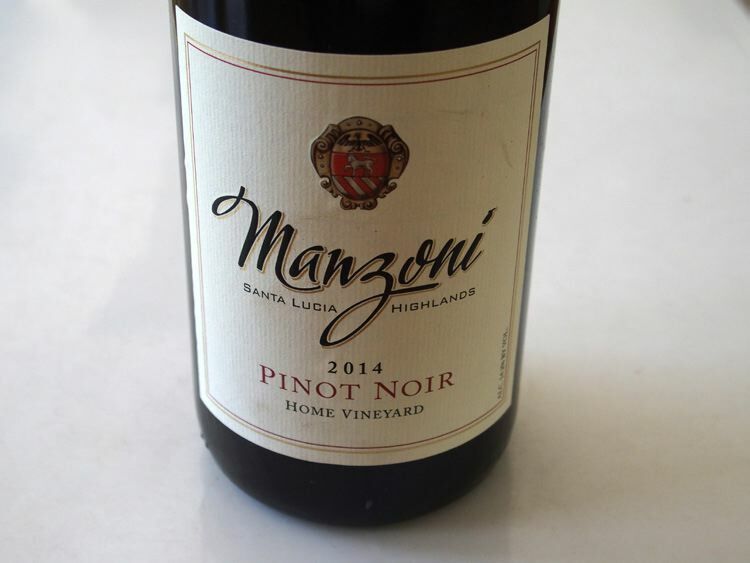 The single-vineyard Pinot Noir and Chardonnay wines reviewed here are new releases that were recently offered to a mailing list. For more information or to access the wines, visit www.smallvines.com. To arrange a tasting, contact Kathryn Sloan at Kathryn@smallvines.com. There is some availability of the wines at high-end retail stores and restaurants throughout the United States. 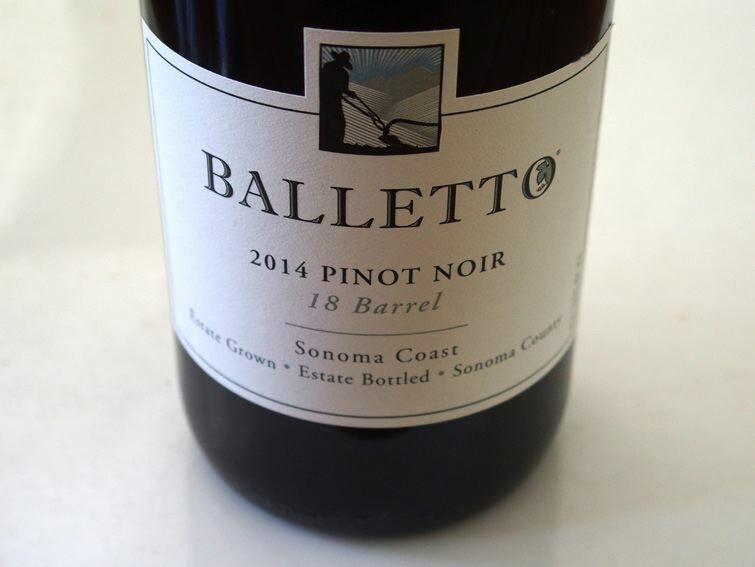 Balletto Vineyards & Winery John Balletto is a prominent grower in the Russian River Valley whose wines are all crafted from sustainably farmed estate vineyards. 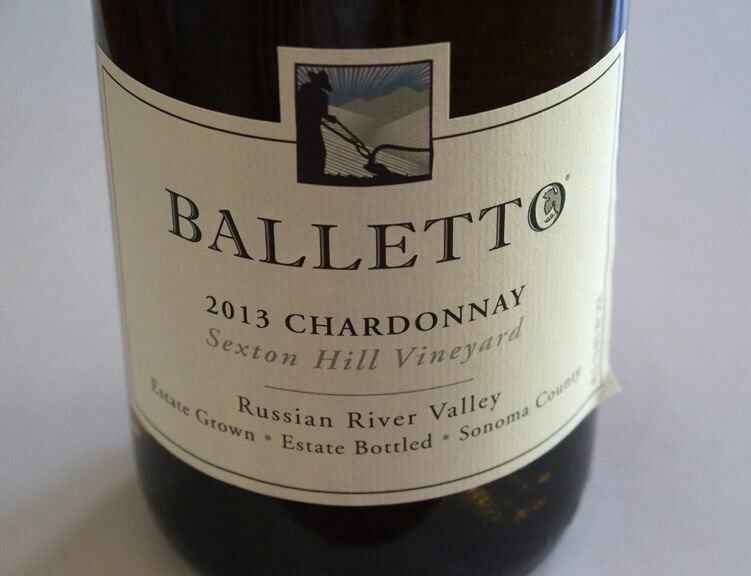 Today, Balletto Vineyards consists of 650 acres of wine grapes in the Russian River Valley including 280 acres in western Sebastopol. Most of the grapes are sold, with only ten percent of the best grapes retained for Balletto wines that were first released in 2001. 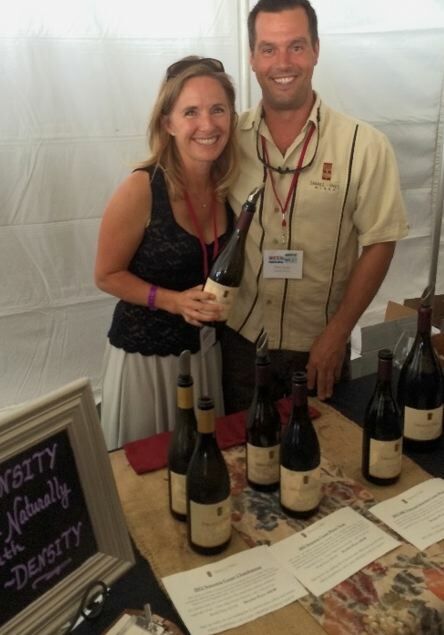 The talented winemaker is Anthony Beckman who became the winemaker at Balletto in 2009. Since then, the wines have gained in quality and are among the premier offerings from the Russian River Valley. All wines are fermented with feral yeast in small six-ton open top vats, finished in French oak barrels with new oak used sparingly. Bucher Vineyard John Bucher founded Bucher Vineyard in 1997. After graduating from University of California at Davis, he returned to Healdsburg to manage the family dairy farm and soon diversified into wine grapes. Additional plantings followed in 1998, 1999, 2006, 2008 and 2009. Today, Bucher Vineyard consists of 36 acres of Pinot Noir grapes and 2 acres of Chardonnay, all sustainably farmed. 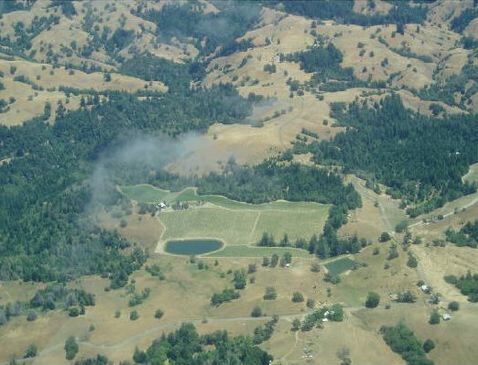 The Bucher Vineyard is very close to the Russian River and overlooks the Russian River Valley. The Bucher label was started in 2011. Fruit is sold to renowned Pinot Noir producers including Williams Selyem, Siduri, Papapietro Perry, Ramey Wine Cellars and C. Donatiello. The winemaker for Bucher wines is Adam Lee (Siduri). Domaine Anderson One of the newer additions to the superb array of Anderson Valley estates, Domaine Anderson farms 50 acres of vineyards planted to Pinot Noir and Chardonnay. The estate is the most recent addition of the Louis Roederer family. Vineyards are farmed organically and the Dach Vineyard is certified organic and biodynamic. The winemaker, Darrin Low, majored in enology and viticulture at University of California at Santa Cruz, and studied abroad at L’Institut de’OEnologie in Bordeaux, France. His previous winemaking experience flourished in the Willamette Valley and at J. Grgich Hills and Flowers in California. 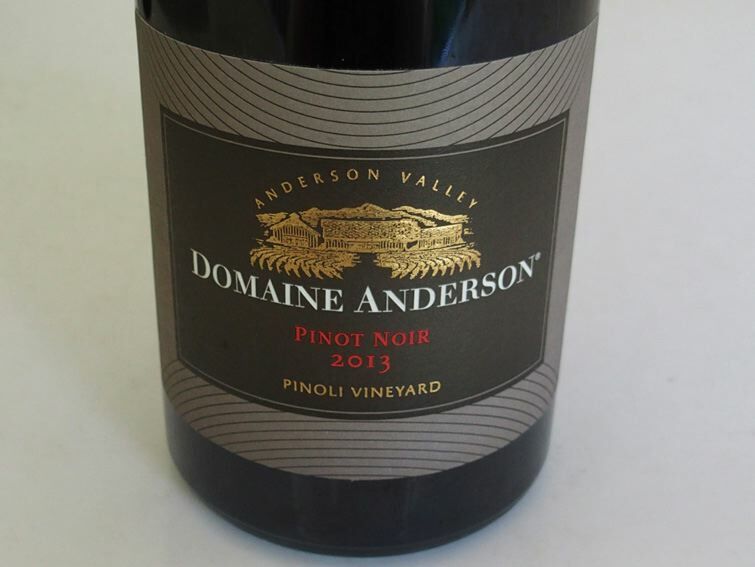 Domaine Anderson also offers an Estate Pinot Noir and three Chardonnays (Estate, Dach Vineyard and Walraven Vineyard). 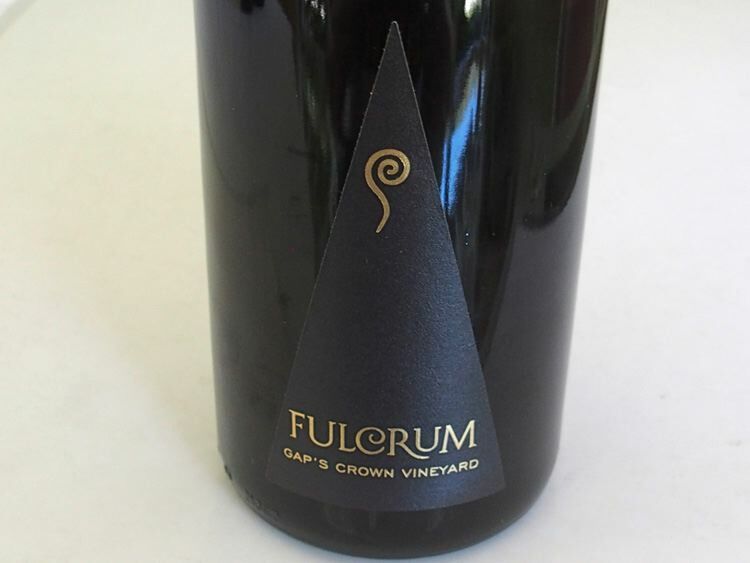 Fulcrum Wines One of the joys of what I do is to see the progress of winemakers like David Rossi who began modestly at Crushpad in San Francisco and now crafts impeccably balanced Pinot Noirs that seem to improve with every vintage. A new tasting room has opened on the Sonoma Plaza in the town of Sonoma, joining other prominent Pinot Noir producers including Auteur, Walt, Three Sticks and Sojourn. The tasting room is open daily but check the website for seasonal changes in hours. The Fulcrum 2014 vintage Pinot Noirs are superb representations of terroir. See also Brousseau Vineyard under the Central Coast listing of Pinot Noirs. MacPhail James MacPhail has left his namesake winery. The 2014 vintage wines reviewed here are the last vintage that James had under full control. He went out with a bang, for these are some of the best wines he has ever crafted at MacPhail. WesMar Winery Very good, well-crafted wines but they do not “pop” in this vintage, lacking some of the aromatic fireworks that WesMar is known for and failing to emphatically reflect terroir. Ken Brown Wines Ken is one of California’s iconic winemakers, now celebrating his 40th harvest. Meet him and taste his outstanding wines at this year’s Santa Barbara Vintners Celebration of Harvest Weekend October 7-10. 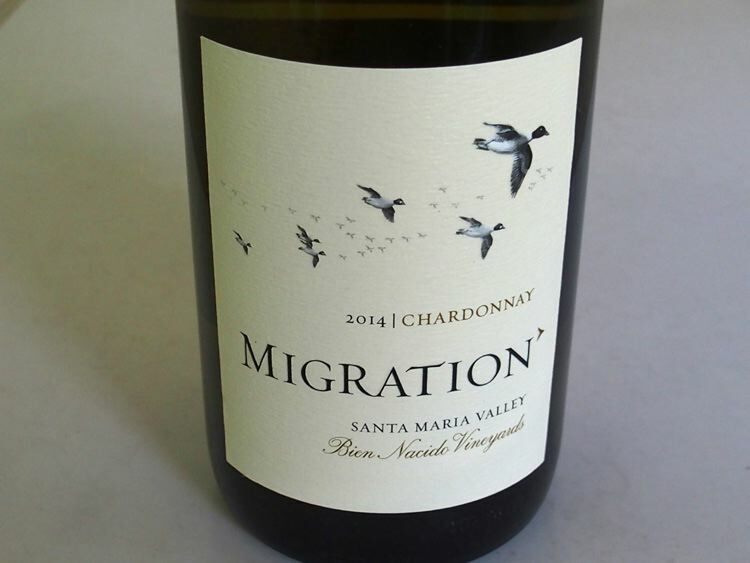 Migration All vineyard-designate Chardonnays are vinified identically, including 75% malolactic fermentation, and aging 10 months in 35% new oak and 10% stainless steel. The intent is to reveal the unique terroir of each vineyard site. Tasted side-by-side, I can confirm the goal. 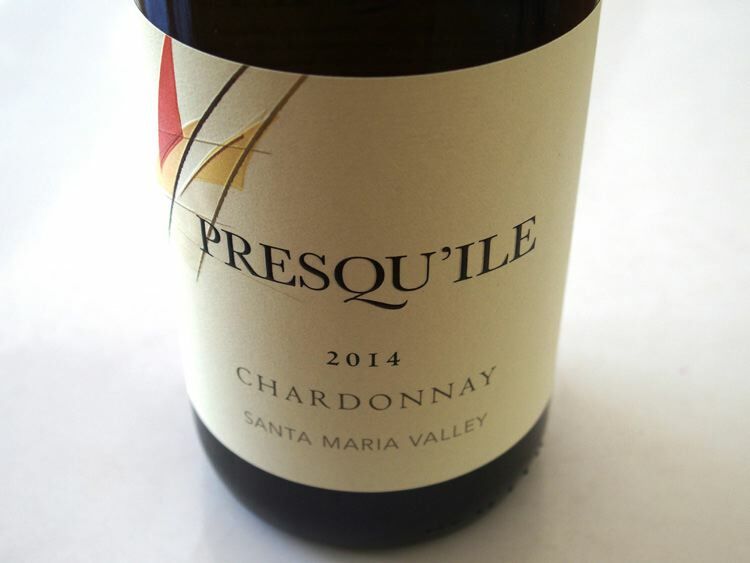 In May this year, I visited the Soliste winery in Santa Rosa during their Open House and tasted several wines with Don Plumley who founded Soliste along with Claude Koeberle. Don was proudly pouring many of the current releases as well as some library wines. Soliste wines are available by allocation through a mailing list and can also be enjoyed at many prominent restaurant partners throughout the United States. Beginning with the 2009 vintage, Soliste wines returned to the roots of Burgundy and the craftsmanship of the Cistercian monks of Vougeot to focus on single clones from single vineyards and wines matured in single cooperage. The winery’s limited production MonoClone® Pinot Noirs reflect a commitment to harness the purity and complexity of one clone from one vineyard. Visit www.soliste.com. 13.2% alc., 148 cases, $22. A serious offering in the Provence style. Primarily sourced from La Cruz Vineyard. 43% 12 hour skin contact, 85% whole cluster pressed, aged 4.5 months in neutral French oak barrels. Look for these upcoming releases of Soliste Pinot Noir. I tasted them briefly over lunch on another date with Claude who told me that Soliste will be focusing primarily on Pinot Noir in the future. 2013 Soliste L’Esperance Sonoma Coast Pinot Noir Dijon clone 115. 123 cases. No whole cluster. 20% new oak. The most Chambolle-like. Red cherry, raspberry fruits, plenty of spice, chalky tannins, very elegant. 2013 Soliste Renaissance Sonoma Coast Pinot Noir Dijon clone 777. 147 cases. 50% whole cluster. 25% new oak. Quite elegant for a 777 wine. Darker in color, darker fruits, and a particularly complex nose offering aromas of black cherry, peppery herbs and rose petal. Also from Sonatera Vineyard like L’Esperance, but completely different with every aspect magnified, showing the distinct clonal differences. 2013 Soliste Les Griottes Sonoma Coast Pinot Noir Dijon clone “828.” 73 cases. 20% whole cluster. 0% new oak. Reminiscent of La Tache, with exotically spiced wild cherry flavor imbued with a redwood forest air. 2013 Soliste Nouveau Monde Sonoma Coast Pinot Noir Pommard clone. 149 cases. 0% whole cluster. 20% new oak. 2013 Soliste Forêt Sonoma Coast Pinot Noir Clone 23 (Mariafeld). 123 cases. 50% whole cluster. 22% new oak. 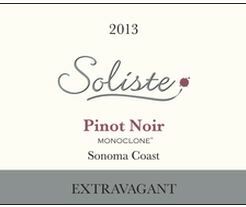 2013 Soliste Solitaire Sonoma Coast Pinot Noir Clone 23. 65 cases. 100% whole cluster. 33% new oak for 12 months, and extended aging in a single 600L neutral oak barrel for a total of 28 months. I visited Wayfarer Vineyard for the second time with winemaker Bibiana Gonzelz Rave in May 2016. We left Sebastopol and drove the winding roads for 45 minutes through the tall coastal redwoods out to the remote Fort Ross-Seaview AVA located in the far west Sonoma Coast. You cannot really appreciate the challenges of farming wine grapes in this rugged landscape far removed from the comforts of the Russian River Valley until you make the drive. Bibiana is now also the winemaker for Pahlmeyer wines so she must travel to both Wayfarer and the Napa Valley from Santa Rosa where the Wayfarer wines are crafted on a regular basis. She not only makes the wines for both labels, but also directs the winegrowing. She also has her own label, Cattleya Wines. Born in Colombia and trained in France, she is one of California’s most recognized winemakers and a member of the extended Pisoni family (her husband is Pisoni winemaker Jeff Pisoni). Bibiana and I were met at Wayfarer by Cleo Pahlmeyer who directs the Wayfarer project. Extensive coverage of Wayfarer was published previously in the PinotFile (www.princeofpinot.com/article/1583/). 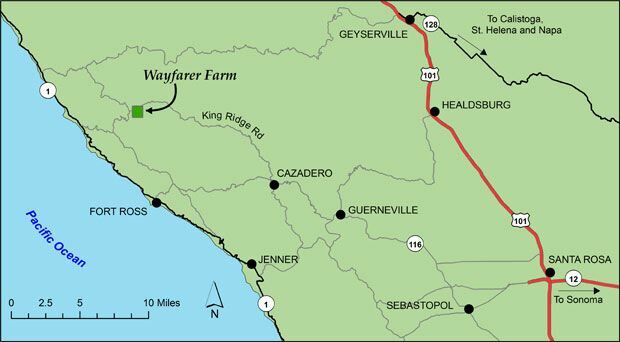 The 2014 vintage Wayfarer wines reviewed here have not been released and the release dates will be determined solely by the winemaker. 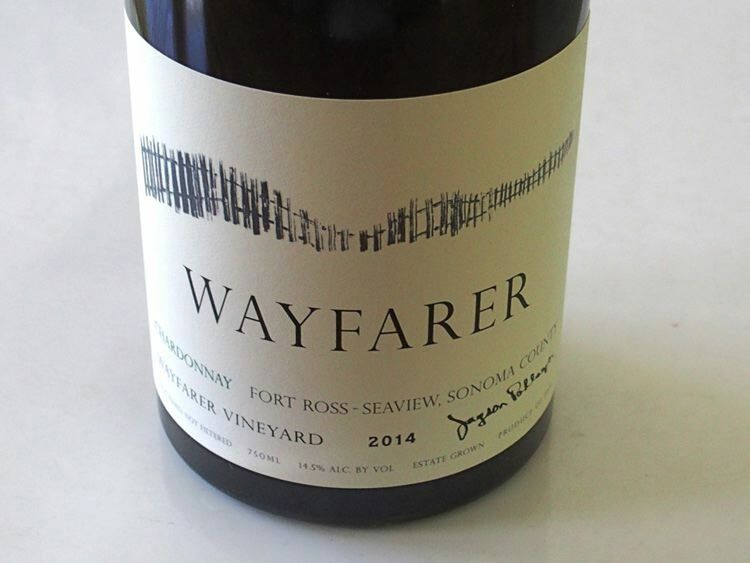 The 2014 Wayfarer Vineyard Chardonnay and Wayfarer Vineyard Pinot Noir will tentatively be released in the fall and the other wines will follow in 2017. The wines are crafted in such a fashion to require additional bottle aging before release. They unfold slowly in the glass, finding more traction, integration and nuance over time, improving when tasted from opened bottles one or more days later. The reductive winemaking, the oak interplay and tannic backbone dictate that these wines become cellar candidates. The reviews here are brief snippets and I will give thorough reviews of all the wines in the fall. That said, these wines will be highly rated and should be in every serious pinotphile’s cellar. 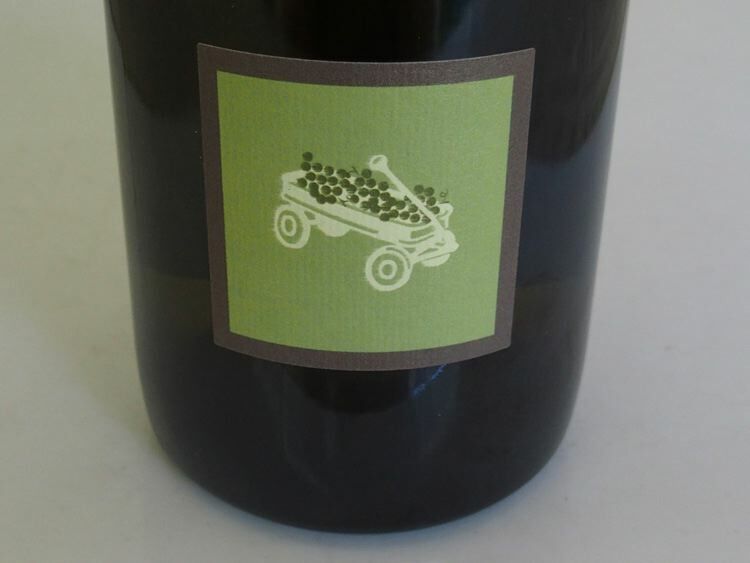 The Wayfarer wines are allocated and sold through a mailing list at www.wayfarervineyard.com. 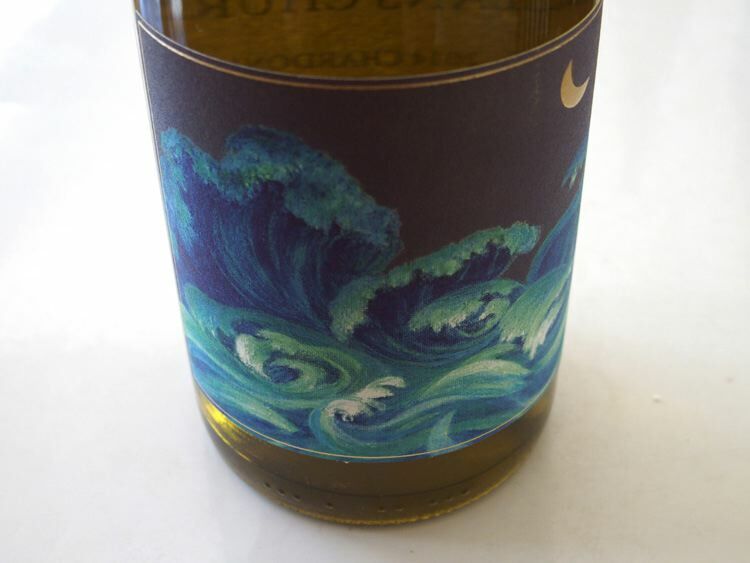 The wines, the third vintage for the Wayfarer label, were bottled in December 2015 after spending 13 months in barrel. The wines tasted were opened about 6 hours before and the cork replaced. Several were decanted during the tasting. Willamette Valley Map The Willamette Valley Wineries Association has just released a limited run Willamette Valley map that is available for sale. The 72’’ x 32” poster-sized map denotes over 700 vineyards within the region along with varied soil types, geography and the region’s geologic complexity. 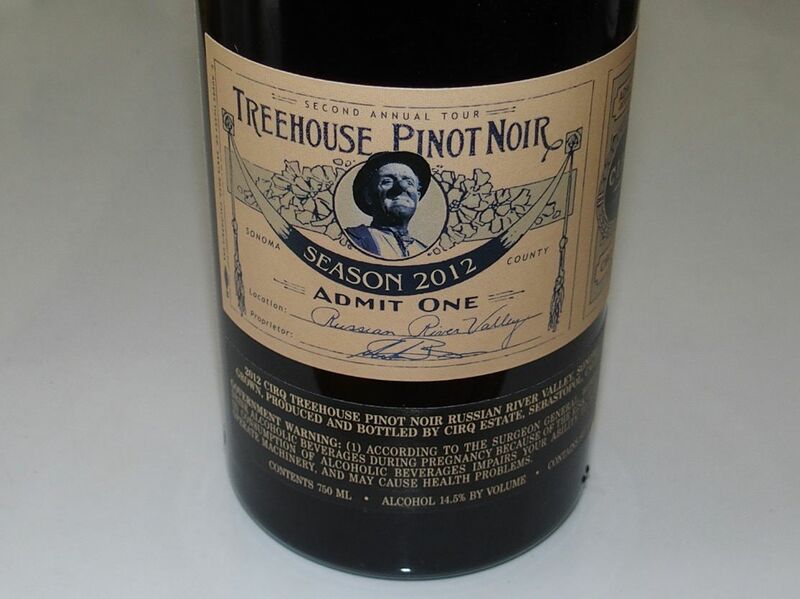 The cost including shipping is $112 and may be purchased at www.willamettewines.com. Kosta Browne Winery Acquires Cerise, Knez and Demuth Vineyards. Kosta Browne has expanded its estate portfolio with the purchase of vineyards owned by Peter and Heidi Knez. Cerise, Knez and Demuth vineyards are located on hillsides on slopes above Boonville. The vineyards include 60 acres of Pinot Noir and Chardonnay. Sea Smoke Acquires Rita’s Crown Vineyard The 201-acre Rita’s Crown Vineyard located adjacent Sea Smoke Estate Vineyard, has been acquired by Sea Smoke from Santa Colina Vineyard, LLC. The vineyard consists of 61 acres of high-density plantings of Pinot Noir and Chardonnay planted in 2007. Grapes from Rita’s Crown Vineyard will not be used in the wines of Sea Smoke. 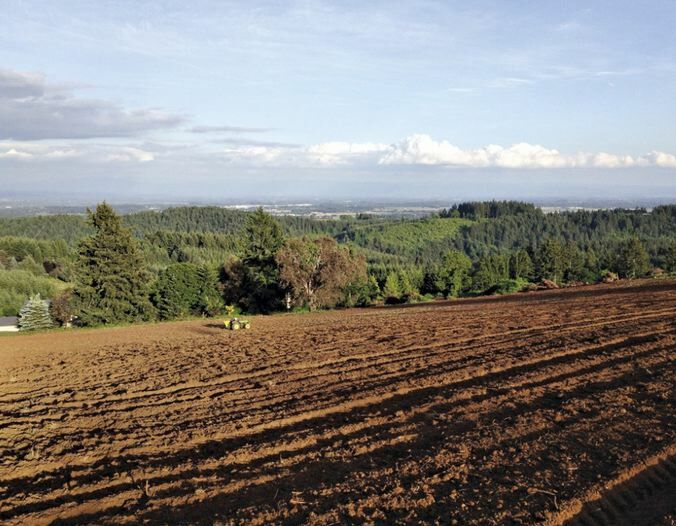 Plans call for Atlas Vineyard Management to farm Rita’s Crown organically. Sea Smoke Estate Vineyard is farmed organically and biodynamically. Sonoma Wine Country Weekend Fifteen notable sommelier stars are part of the experience this year for Sonoma Wine County Weekend. Sponsored by Rodney Strong Vineyards, they will serve as guest wine guides at key events throughout the three-day, charitable event set for Labor Day weekend (September 2-4, 2016). The sommelier stars hail from across the United States and Canada. Tickets are now available for the 2016 Sonoma Wine Country Weekend. For information and tickets, visit www.SonomaWineCountryWeekend.com. MAVA 6th Annual Harvest Festival A tasting of wines from fifteen Mexican-American vintners will be held Saturday, August 20, 2016, at Robledo Family Winery at 21977 Bonness Road in Sonoma. This is one of the very few times of the year you can taste Mexican-American vintner wines in one place. There will also be food pairings, live music, and a silent auction filled with limited production wines and offering winery experiences. Profits will benefit the Mexican-American Vintners Association (MAVA) scholarship fund. Tickets are available for $100 until August 16, $125 thereafter at www.eventbrite.com. Smoke Taint a Concern in Carmel Valley The recent Soberanes Fire has sent smoke to many parts of the Central Coast and growers are concerned in Carmel Valley. The fire has not caused any sign of smoke taint yet in the Santa Lucia Highlands. CIRQ Videos CIRQ Pinot Noir by Michael Browne has just released its 2013 Treehouse and Bootlegger’s Hill Russian River Valley Pinot Noirs. Visit www.cirq.com to view the extraordinary videos (“moving pictures”) of the estate vineyards, winegrowing, winemaking and the Russian River Valley. Results of 2016 San Francisco International Wine Competition On June 9-12, 2016, the 36th annual edition of the nation’s most prestigious international wine competition included the blind tasting of 4,618 wines. The Best in Show Red and Best Pinot Noir was the 2014 Cru Santa Maria Valley Pinot Noir ($25) sourced from Sierra Madre and Garey vineyards. The Best in Show Sparkling and Best Blanc De Noir was the NV Gloria Ferrer Winery Carneros Blanc de Noirs. 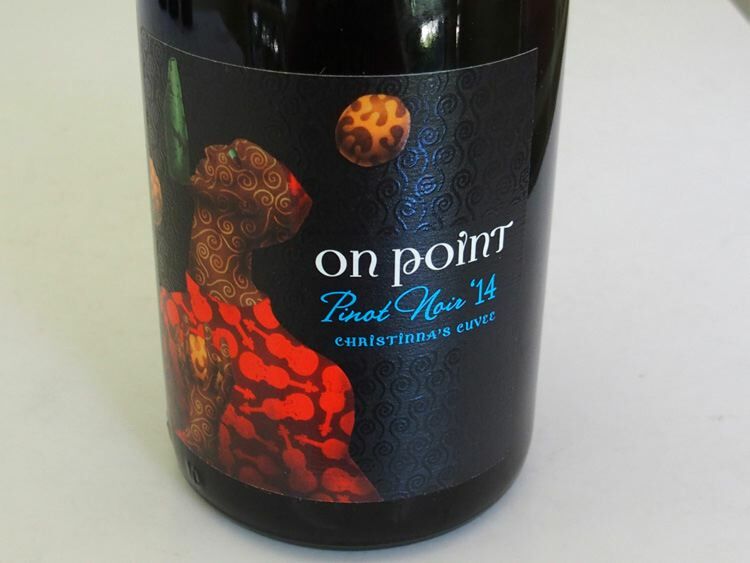 Among Pinot Noirs, there were 19 Double Gold winners, including wines from Anaba, Furthermore, and Westwood Estate that have been reviewed in the PinotFile. For a full listing of all winners, visit www.sfwinecomp.com. Decanter Platinum Best in Show Pinot Noir The 2012 Domaine Serene Winery Hill Vineyard Dundee Hills Willamette Valley Pinot Noir beat out six Grand Cru and 26 Premier Cru Burgundies to win the Platinum Best in Show for Pinot Noir costing more than about $20 at Decanter’s 2016 World Wine Awards where judging is carried out by many Masters of Wine and Master Sommeliers. 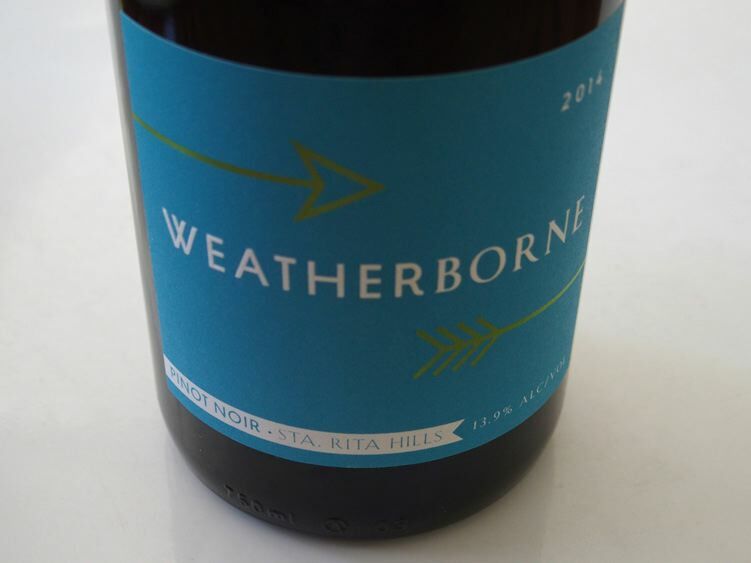 The wine, like a number of Domaine Serene’s vineyard designated Pinot Noirs, is sold almost exclusively to wine club members and visitors to the tasting room. Domaine Serene took home more medals than any American winery at this competition. Also, Domaine Serene will be the featured Pinot Noir at the Riedel exhibition intended to show the quality of the Riedel Pinot Noir wine glass at the 2016 Decanter Fine Wine Encounter in November 2016. Unique Wine Cellars Infographic about building a wine cellar using precast containers. Visit www.versatiletanks.com.au/build-wine-cellar/. New Coravin™ Aimed at Millennials A cheaper Coravin unit that allows pouring of a glass of wine without removing the cork has been released to the market. Newly designed and lighter in weight, it is made to appeal to wine drinkers in the 20 to 30 year old age group.